When you’re in the market for a used car, sometimes an SUV can seem like overkill, while a compact car may not be big enough for your needs, especially if you have a growing family. The solution is a mid-sized sedan, and because there are so many good ones to choose from in this country, you know you’ll have no problem finding a model that fits your requirements perfectly. Check out our picks for the best used family sedans in Australia. If you’re planning to buy a new sedan, you’re normally going to have to spend more than $30,000 for the best models. However, a quick perusal of used car dealerships and online car selling sites will show you that there are plenty of quality second-hand cars out there to choose from. 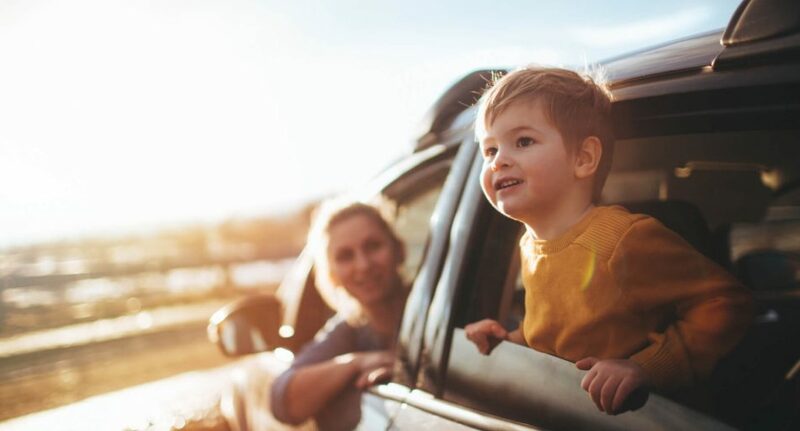 If you’ve got a family, your choice of a used sedan will be determined by factors that include overall safety, fuel economy, reliability and how much internal space the car has. Because the used car market for sedans is so competitive in Australia, there are some real bargains to be had – and it’s always worth doing some aggressive negotiating when discussing price for your chosen model. If the only Hondas you’ve ever driven are their compact cars (like the Civic), you’re bound to get a mild shock when you climb into the spacious comfort of the Accord, which is a full-sized sedan in anybody’s book. Despite its generous size, which brings to mind Commodores and Falcons, it packs some impressive fuel-efficiency tech. Honda is famous for the quality workmanship in its engines, and the Accord doesn’t disappoint, offering smooth acceleration and strong performance. If you’re tall, wide or both and like a bit of extra room, the Accord has all the internal space you’ll need. The Hyundai Sonata is many things: a large car disguised as a medium sized sedan (more on that shortly), a dependable workhorse, and even a stylish piece of eye candy. Most of all though, the Hyundai Sonata is a lot of fun, both to drive and to own. Most notably, the Hyundai Sonata’s exceptional steering and suspension make it stand out from the pack. The Sonata handles like a dream – a really, really good dream. Otherwise, the Sonata is something of an enigma: from the outside, it’s very much a medium sized sedan. However, once you take your place behind the wheel, you could be forgiven for thinking this was a large sedan. Offering plenty of storage space and legroom, the Sonata is ideal for taller travellers. Combine this with comfort and good value for money and you have a winner! The Mazda 6, the Mazda 3 and the Mazda 2 have all proven their worth to discerning Australian car buyers over the years, with all providing a comforting level of reliability. Though the Mazda 6 can sometimes be mistaken for the Mazda 3 from the outside, once you get a peek at the interior, the differences are plain to see: the 6 has a much larger boot and more room for the rear passengers. This is a 5-star-rated car for safety, with electronic stability and traction control, 6 airbags, front and rear park sensors and auto wipers and headlights. The handling is smooth and balanced and the engine is peppy enough.